While nail art feels like a beauty trend of the 21st century, it's actually inspired by a retro look. Seriously! When nail lacquer first hit mainstream America in the 1920s, the preferred way to sport glossy red polish was in the form of a moon manicure that showed a hint of the nail at the base. Current takes on the half moon feature contrasting color combinations, but paying homage to the original style is a whole lot easier since you only need one shade of polish. 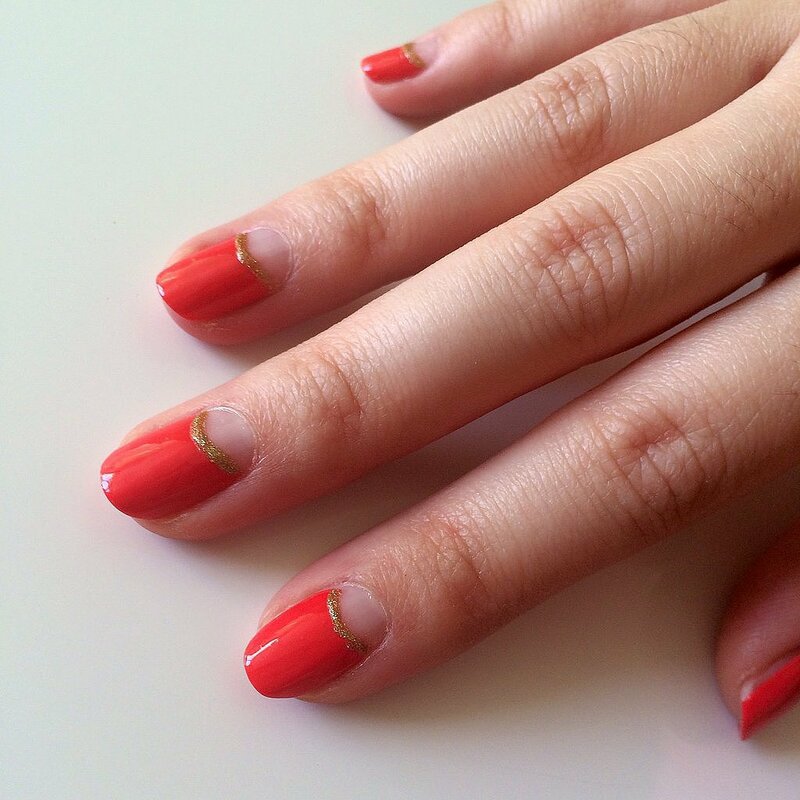 Read on to see how to create a modern take on one of the earliest nail art designs. Plus, watch our tutorial which uses another nifty tool to create this retro style. 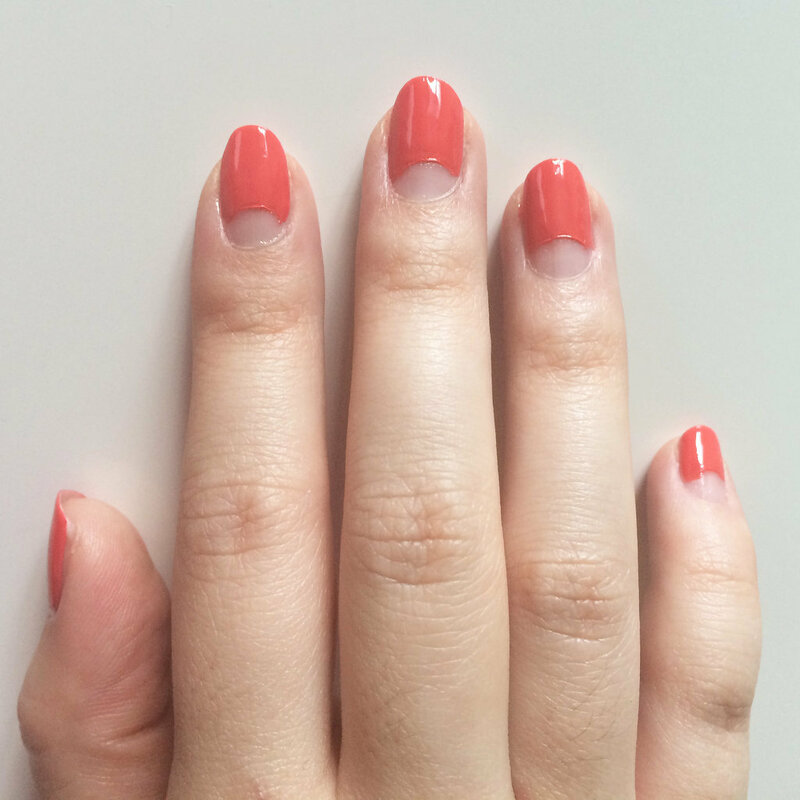 For Spring, I was inspired to forgo the traditional red and try a bright coral, Chanel Le Vernis Nail Colour in Lilis ($27). I used Butter London Horse Power ($19) as a base coat, Art Club Gold Glitter Duo Pen ($4) to create the gold accent, and Essie No Chips Ahead ($9) to seal in my look. After applying your base coat, let it dry for a few minutes. 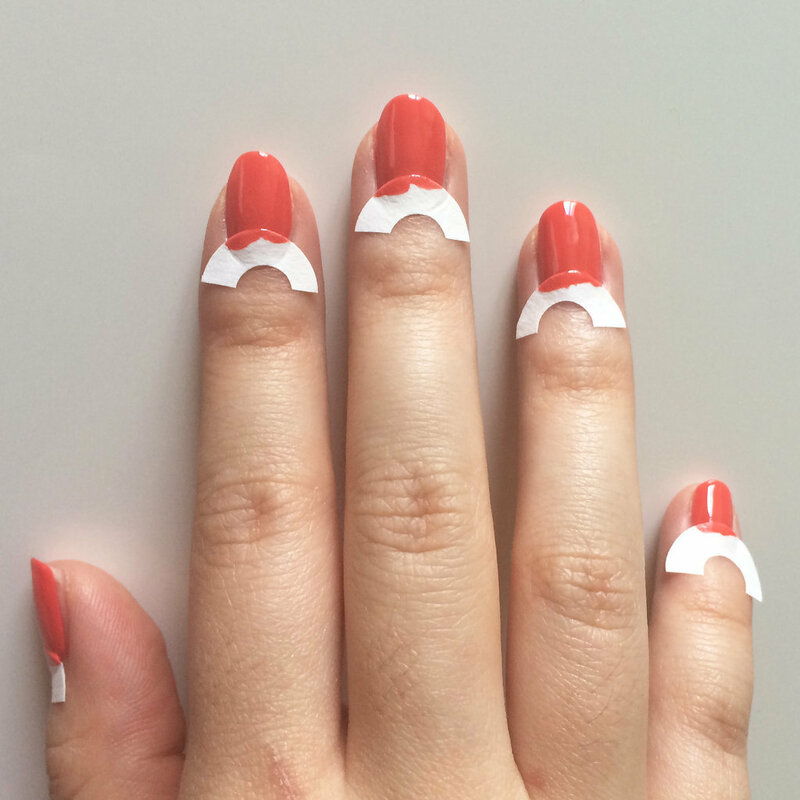 Next, cut paper reinforcements in half (or you can just use whole ones) and place them at the base of your nails. This will create the half-moon shape of your manicure. 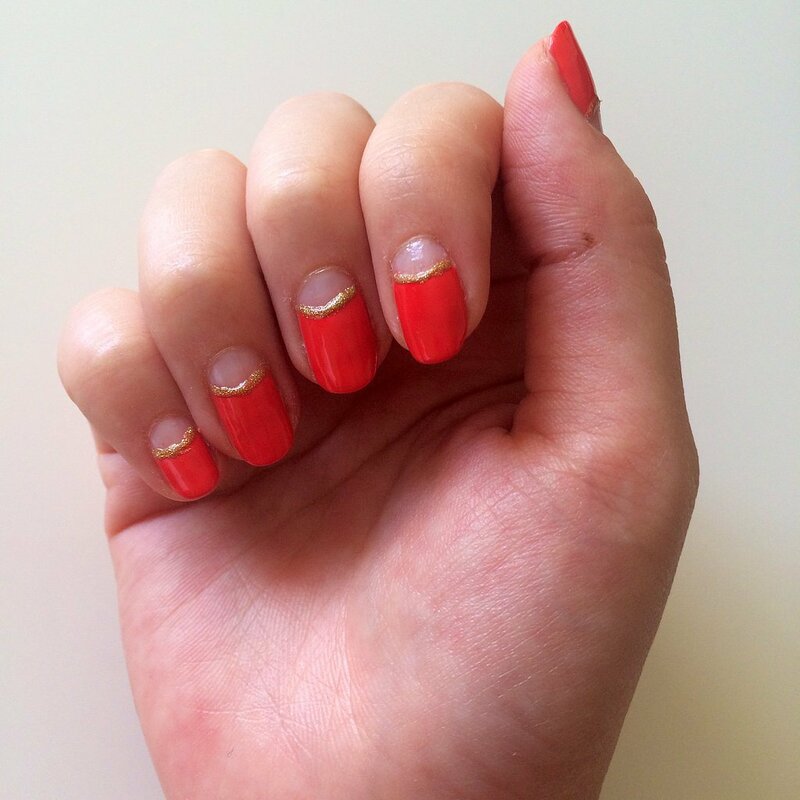 Make sure the reinforcements are pressed pretty securely on your nail so that there aren't any gaps. This will ensure a nice clean line. Then paint two coats or your polish. While the two coats of polish are still wet, gently remove the reinforcements. 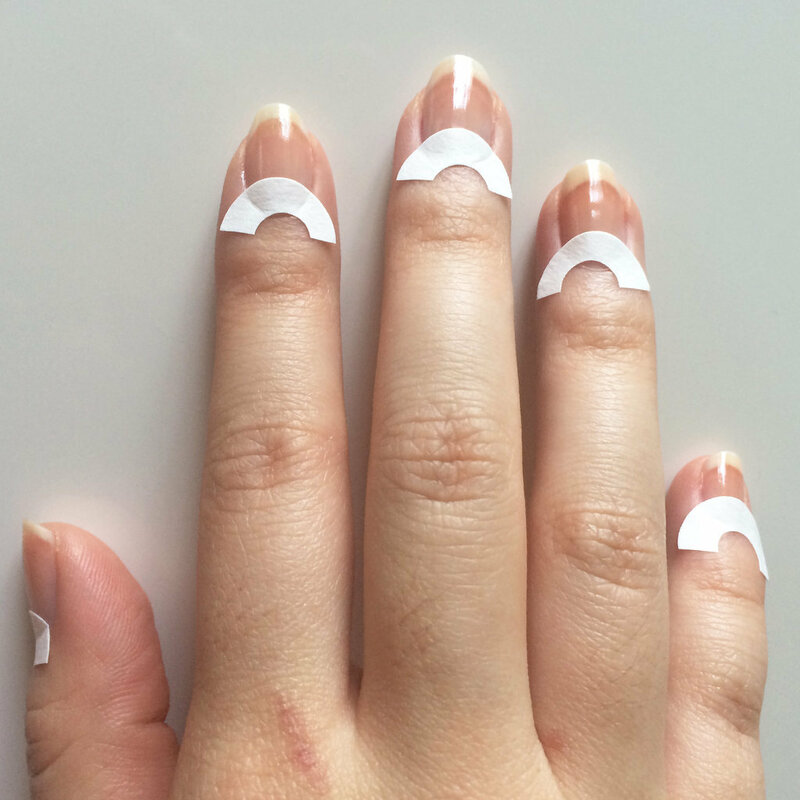 You'll be left with a pretty moon manicure. For my look, I decided to enhance the curved shape with a sparkling gold outline. Using the striping brush from the Art Club Gold Glitter Duo Pen ($4), I painted on a thin line to finish off the look. 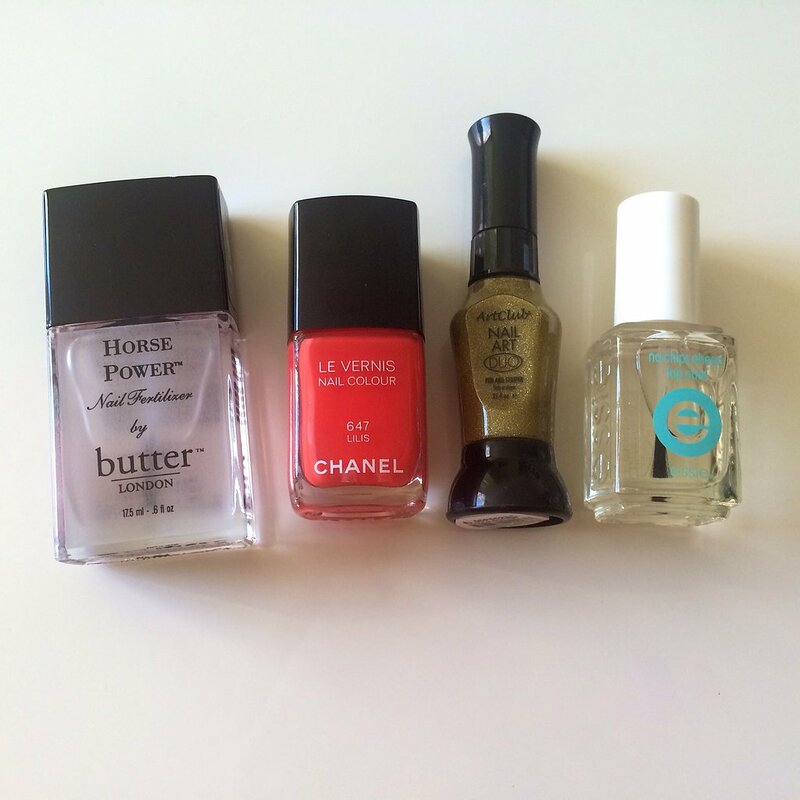 Let the gold polish dry before applying your top coat so there isn't any streaking. The final look is polished and refined, reminiscent of the '20s and '30s but with a modern flair.